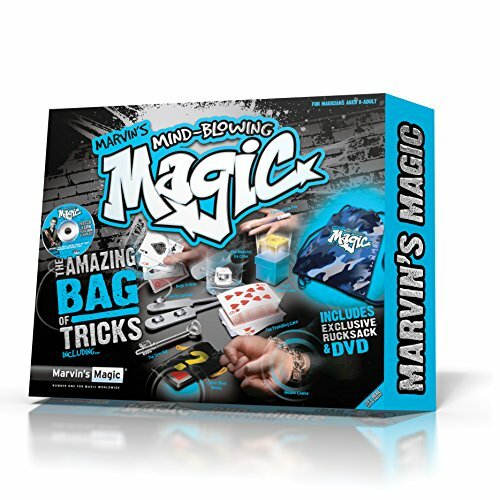 Shop Ireland » Toy » Marvin's Magic The Most Amazing Mind-Blowing Bag of Tricks...Ever! Marvin's Magic The Most Amazing Mind-Blowing Bag of Tricks...Ever! You will amaze and wow your audience! Includes a Bag for you take your Magic to the Streets! The Amazing Bag of Trick includes exclusive rucksack and DVD loaded with the collest collection of Mind-Blowing Magic Tricks and stunts! Perform the most amazing Mind-Blowing Magic ever!